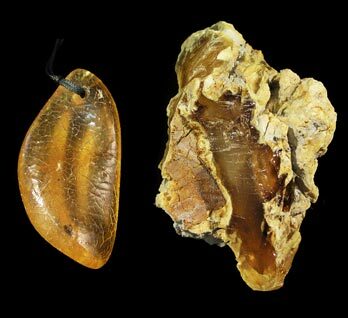 Globs of golden gum were left in the soils and swamps of Northland by giant kauri trees over thousands of years. From the 19th century kauri gum became a major export, and hopeful prospectors flocked to the gumfields, but digging gum was a tough way to make a living. Kauri gum is a resin (a sticky substance) produced by New Zealand’s giant kauri trees. The resin helps protect the tree by filling in holes and damaged areas. Kauri trees can live for more than 1,000 years, so they make a lot of gum over a lifetime. As the trees die and fall, the ground where they grew becomes littered with kauri gum. Over time, this often gets covered by soil or swamps. Most kauri gum is found in Northland. Māori called kauri gum kāpia. They chewed it like chewing gum. They used gum to start fires, because it burns easily. They mixed the soot from burnt gum with oil or fat, and used it in moko (facial tattoos). From the 1840s, kauri gum was exported to Britain and America to make varnish. Later, it was used in linoleum, a floor covering. In the 19th and early 20th centuries, many people headed for the gumfields of Northland, hoping to find gum and sell it. They dug it out of the ground and found it in swamps. Many of these areas no longer had kauri trees – they were scrublands covered in mānuka. Dalmatians, Māori and British worked as diggers. They used a spear to find gum and a specially designed spade to dig it up. Gum digging was hard work, and it was difficult to make enough money. Diggers lived in rough huts. They worked six days a week, and spent their evenings cleaning the gum by scraping it with a knife. Some also made ornaments by melting or carving the gum. Storekeepers bought kauri gum from diggers. It was then taken to the nearest port and shipped to Auckland, where gum merchants cleaned it, graded it and exported it. From 1850 to 1900, kauri gum was Auckland’s main export. In the 1890s, it was getting harder to find gum in the ground. People started climbing living kauri trees to get gum. Some cut the trees, to make them bleed gum – but this often killed the trees. The kauri gum industry continued into the 20th century. In the 1930s, cheaper materials had been invented for making varnish. The price of kauri gum fell, and by the 1940s the gum industry was coming to an end.